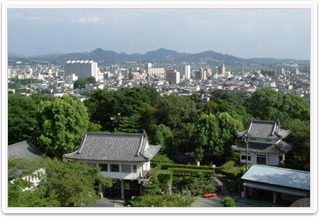 CICASP is a department of the Primate Research Institute of Kyoto University, which is based in the historic city of Inuyama in Aichi prefecture, famous for it’s small but beautiful castle and open air museums "Meiji Mura" and "Little World". It has a population of roughly 75,000 people. The city is a 30-minute train ride from Nagoya, the 3rd largest incorporated city in Japan, and so provides a pleasant mix between country and urban life.